In her debut instructional chess dvd, the dynamic young chess talent Irina Krush analyzes some of her best games and super combinations from her young but rapidly ascending chess career. A chess master at the age of twelve, this vivacious and energetic young woman is blazing a trail for young American chessplayers everywhere. 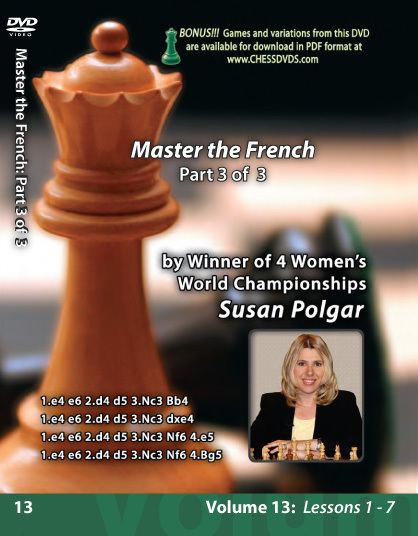 No aspiring junior chessplayer will want to be without this chess video! In her second instructional chess dvd, the rising young chess star Irina Krush (at 14 years of age, America's top female junior chessplayer) analyzes and discusses some of her best attacking games and her most decisive and deadly combinations from the period 1997-1998. A chess master at the age of twelve, this vivacious and energetic young woman is blazing a trail for young American chessplayers everywhere. No aspiring junior chessplayer will want to be without this chess dvd..